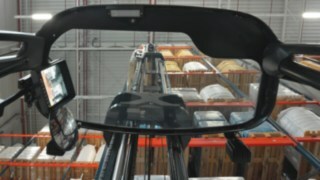 As well as guaranteeing smooth operation, in many cases the safety of industrial trucks is also a legal obligation. The relevant requirements are constantly changing. 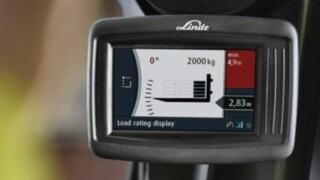 Linde Material Handling keeps track of it all and promptly performs the prescribed checks for you. For example, these include the checks in accordance with FEM 4.004, which are required in Europe, rack checks, and battery and charger checks. 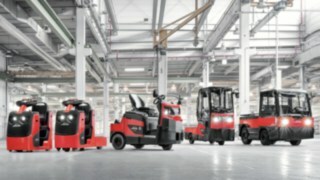 In addition, in many locations, Linde offers a tyre service, advises on optimal energy consumption, and handles the value-preserving cleaning of forklift trucks and warehouse handling equipment. 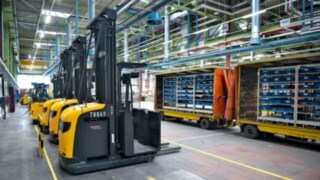 The Thorough Examination is a legal safety inspection for industrial lift trucks, similar in many respects to the MOT for road vehicles/cars.The examination is mandatory by law and ensures that the mechanical parts of the fork truck are regularly inspected to keep the fork truck safe to use when operated to manufacturers recommendations.The Linde examination covers all parts of the industrial lift truck including attachments and accessories, and ensures that any safety related defects identified at the Thorough Examination are quickly and effectively communicated to you, for action to be taken. 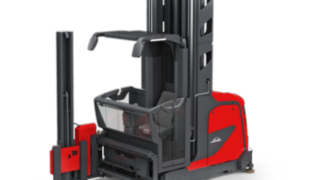 Fully functioning tyres are not just a legal requirement – they also ensure the efficient and safe handling of the forklift. 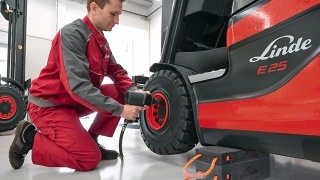 The Linde tyre service performs necessary tire changes, keeping downtimes to a minimum. The use of a replacement rim means that the tyre is quickly installed and we are happy to dispose of old tires upon request. 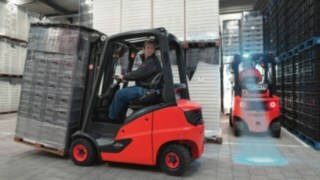 Did you know that the battery accounts for around a third of the overall costs of an electric forklift truck? Just as important is a fully functioning and, above all, durable battery. Only then can high costs be avoided. Insufficient maintenance and cleaning can destroy the battery, reduce driving times, and accelerate discharging. Time-consuming interim charging then becomes unavoidable. 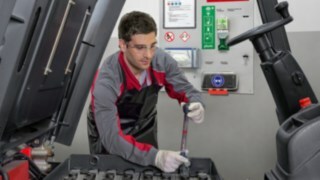 The Linde battery service detects defects at an early stage, extends the service life of batteries, minimises downtimes, and prevents expensive repairs. Energy consumption is an economic issue and is also relevant for a company's sustainability. Linde provides energy consumption consulting services, depending on the relevant operating conditions, at numerous sites. This covers the selection of the appropriate battery size and type as well as the number of batteries and chargers to be used, for example. Depending on the operating environment, it may, for example, make sense to use a central charging station. Our experts help you to optimise your consumption costs and structure your energy supply with a view to the future. 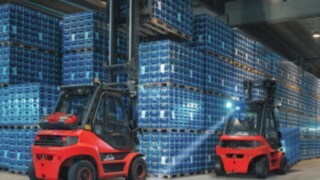 Aside from the necessary checks, forklift operators can also make a contribution to the preservation of the batteries on a daily basis. The Linde battery service board provides protection and assistance during the daily charging and checking of lead-acid batteries. The board ensures that the necessary maintenance accessories, such as safety goggles, gloves, and eye washes, are available at a central location. Furthermore, it also provides instructions on how to charge lead-acid batteries in twelve languages. The service board therefore improves safety in the workplace and speeds up care and maintenance work on the battery. 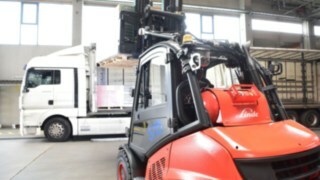 Linde training programmes ensure well-trained forklift operators and in turn safe and smooth operation.